Chia seeds were an important part of the Aztec and Mayan diets, known for providing energy to warriors and fleet-footed messengers. They were used as a basic survival ration with the ability to sustain a hard working warrior or runner for 24 hours with just one handful. The name ‘chia’ comes from the Mayan word for ‘strong’. This mucilaginous property has also been shown to take place in the stomach when chia seeds are eaten whole or ground. For diabetics or others want to control blood sugar levels, this gel action slows the process of breaking down carbohydrates and converting them to sugar, thus slowing sugar absorption. 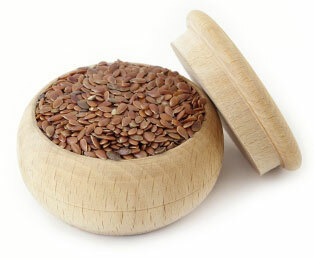 Flax seeds are the main super seed that the Egyptians and Asians were using thousands of years ago. These nutrient-rich seeds have become well-known for their high Omega-3 content and are the common vegetarian source for this important heart-healthy fatty acid (typically found in fish oil). These seeds are also gelatinous like chia seeds and swell to produce a gelatin, though not as thick as chia. The soaked seeds can be used as a thickener or vegan egg replacement in recipes. Use the soaked seeds to make our popular flax crackers. 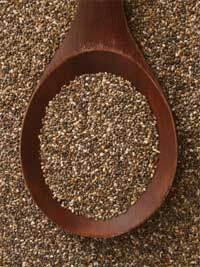 Flax and chia seeds are important detox aids for cleansing the colon and relieving detox symptoms. To relieve slow elimination, add 2-3 tablespoons of freshly ground seeds to a glass of water and drink on an empty stomach – preferably first thing in the morning. According to David Wolfe, the highly absorbable plant protein found in hemp products comes from sulphur-bearing amino acids. These amino acids are known to create strong flexible muscles and support the development of healthy neurotransmitters. They improve memory and strengthen brain cells. Hemp seeds, hemp powder and hemp milk can be powerful and healing additions to your diet. Hemp milk makes a great substitute for dairy or soy. Hemp milk is delicious, creamy and rich in healthy fats. Unlike soy it contains no phytic acid, which blocks mineral absorption. You can make your own fresh hemp milk from the seeds with this simple recipe. Also, hemp powder can be used in protein shakes and smoothies in place of whey or soy protein powder with much safer and more effective results. Edible hemp products are made from the seed of the hemp plant. Although this plant is related to the plants that produce marijuana, edible hemp has no psychoactive properties. The only way that it will alter your mind and your body is by nourishing it with good wholesome nutrients. Hemp seeds should be stored whole. The ground seeds, as well as hemp seed oil, become rancid quickly. They are best eaten raw and can be eaten whole or ground. They add a nutty taste and superfood nutrition to granola, salads, and smoothies. 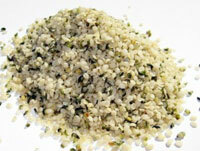 Hemp seed is an adequate source of calcium and iron. Whole hempseeds are also a good source of phosphorus, magnesium, zinc, copper and manganese.